My favorite kind of outfits involve color and a little unexpected twists. 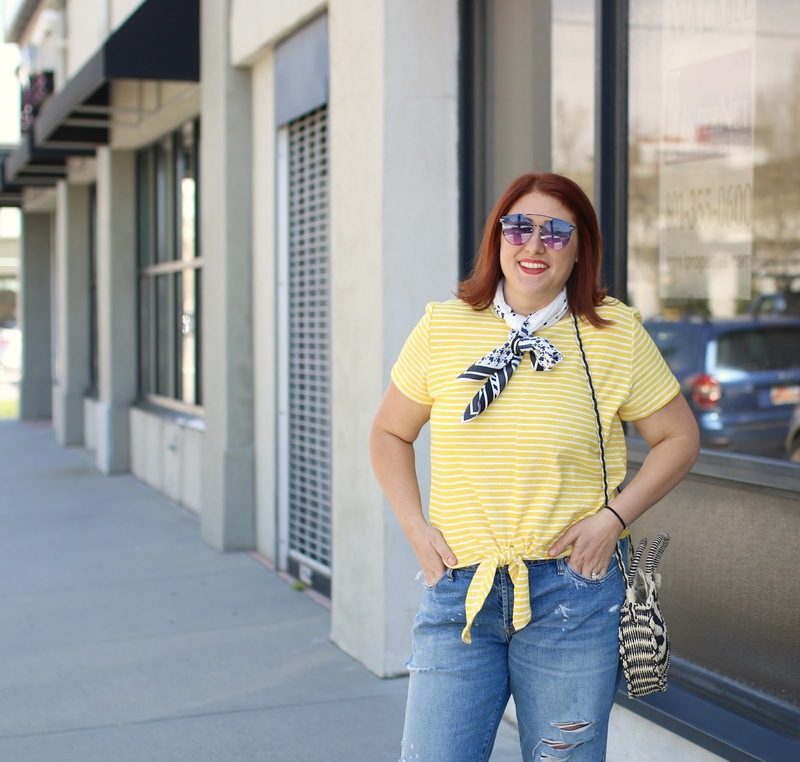 This was a mix of distressed and athletic and a pop of color in with this cute little yellow strip tie top. 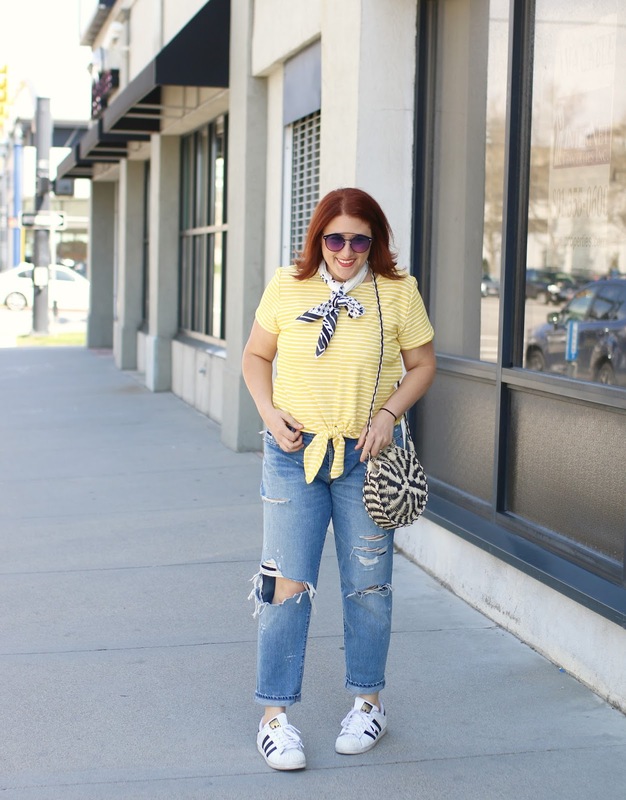 I also love a neck scarf to add a little feminine touch. Sometimes the outfits that consist of the unexpected make for the most interesting pairings. This was worn for a little girls day I spent with my friend Sandy and her daughter while mine napped. 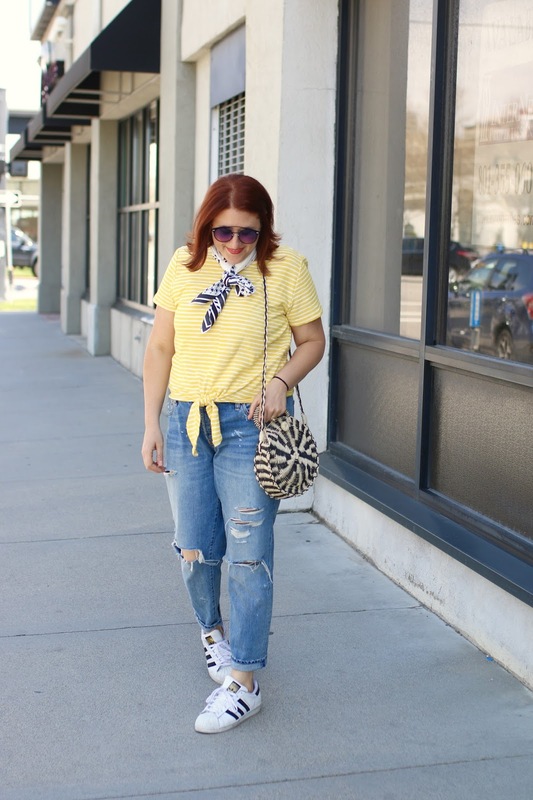 We went to Decades which is my favorite vintage store in Salt Lake, to look for vintage scarves, We tried out Pretty Bird's Fried chicken sandwiches that didn't disappoint. If you're downtown in Salt Lake, I'd recommend giving both spots a visit! Hope your week is off to a great start. I am getting my hair done later this week and am so ready for more of a chop. I've really grown to love my short hair and come to terms with the fact that I just don't have the kind of hair needed for long locks. Work with what you've got, right?